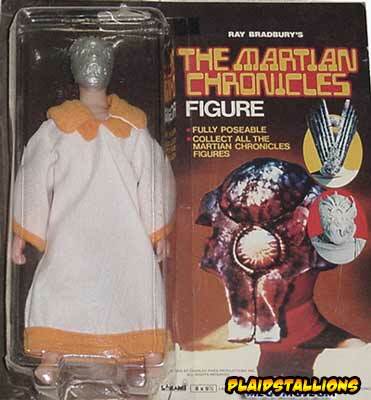 Martian Chronicles was an event TV mini series during this period and it's odd that Larami chose to make action figures, although the license must have been cheap. 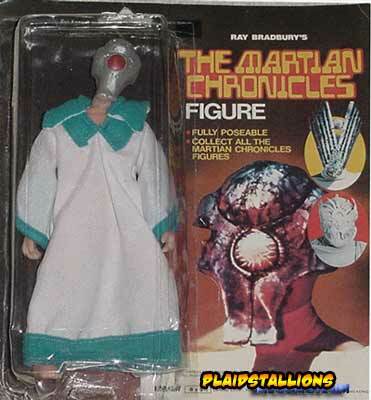 Although I loved the series, many people don't view it fondly. 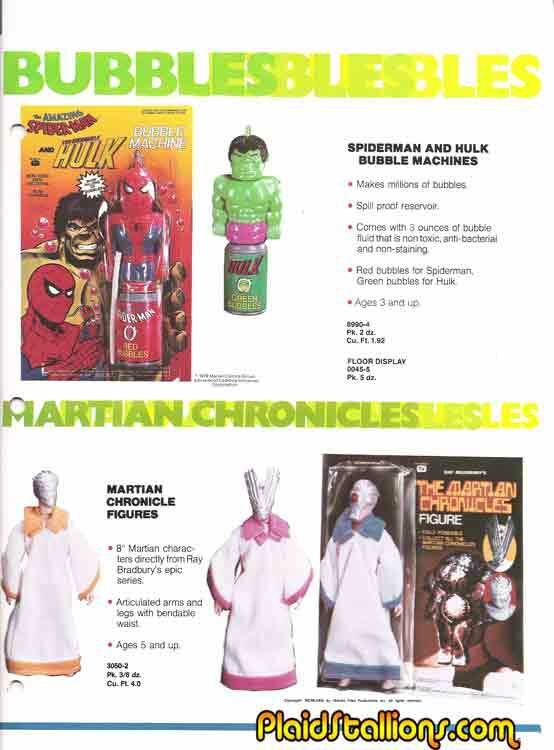 Larami ripped off the cloths from the Keeper figure from the Mego Star Trek line to produce their three martian figures. 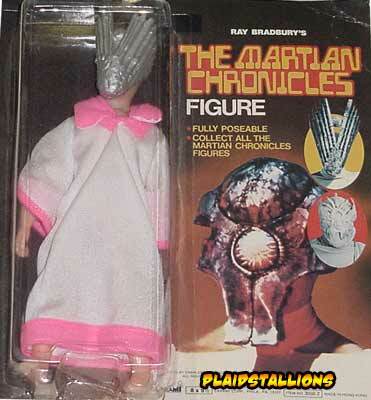 There were no plans at any time to produce a figure of Rock Hudson.